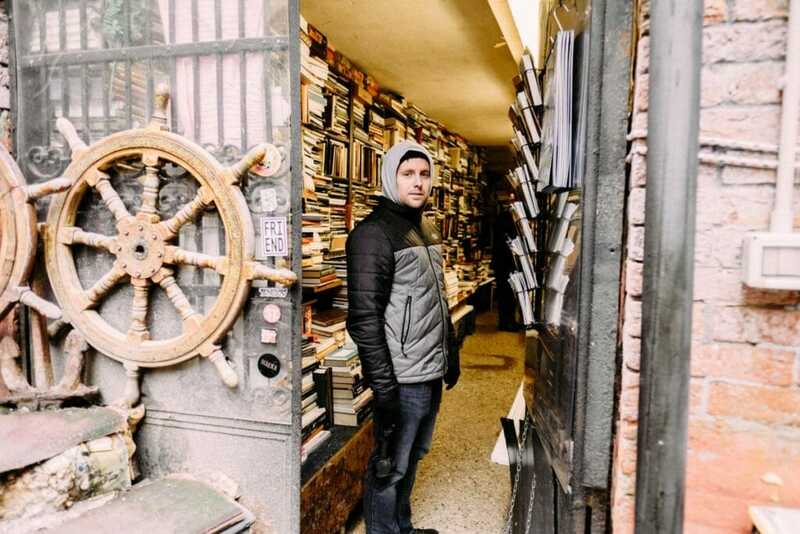 Libreria Acqua Alta has been on my Venice bucketlist for awhile. As the daughter of a librarian, bookstores always elicit a sense of comfort and fascination for me. 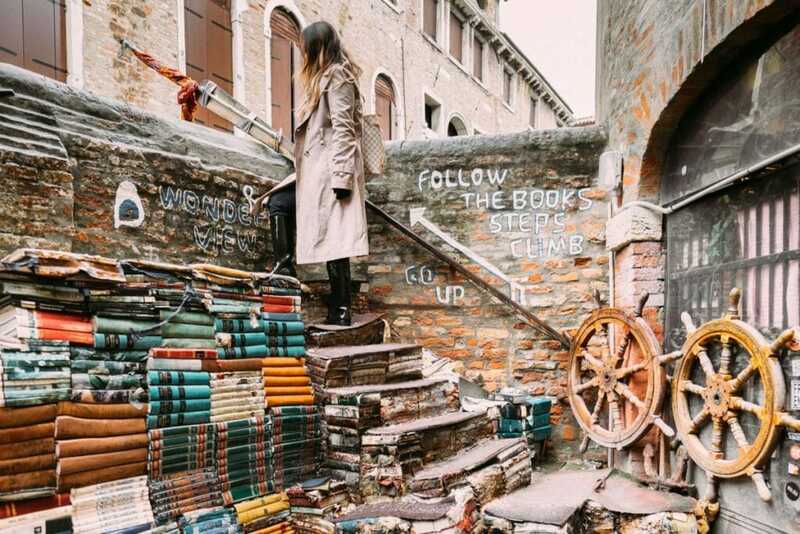 This particularly quirky one in Venice has captured the hearts of Instagrammers over the world. 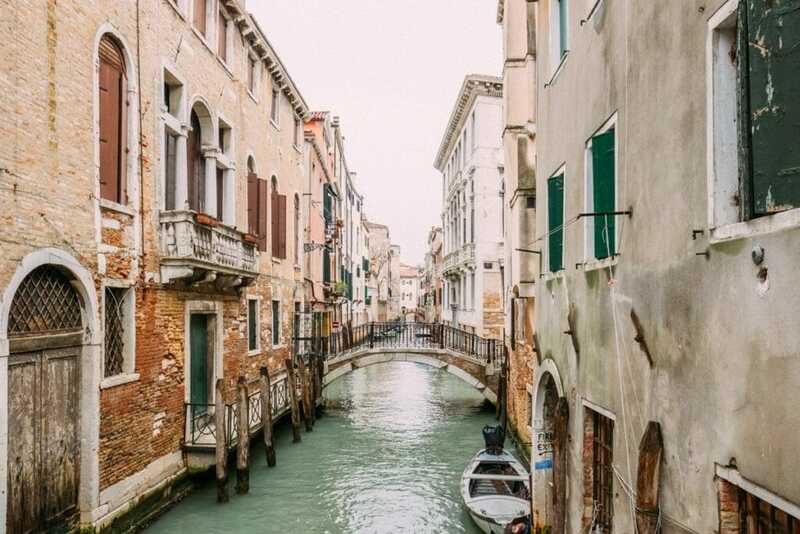 “Acqua Alta” refers to the flooding that occurs when the lagoon water rises during rainy seasons. 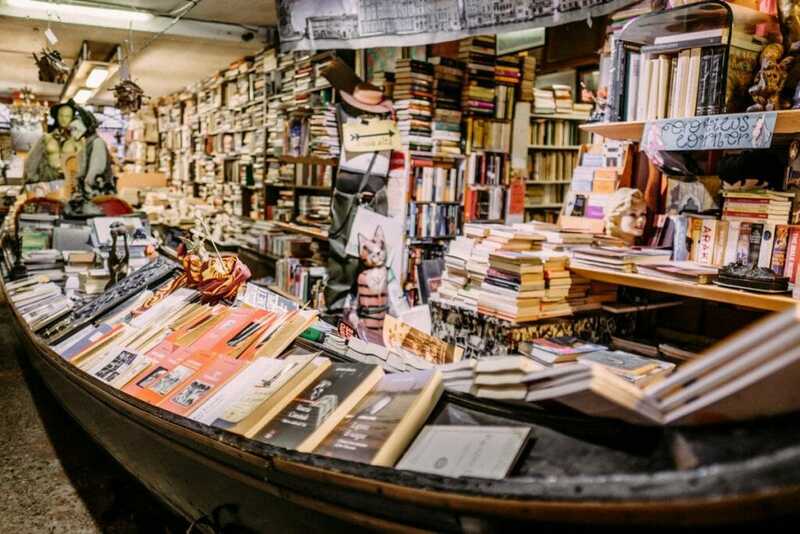 To prevent books from being damaged during times of acqua alta, they are creatively stored in gondolas and bathtubs. 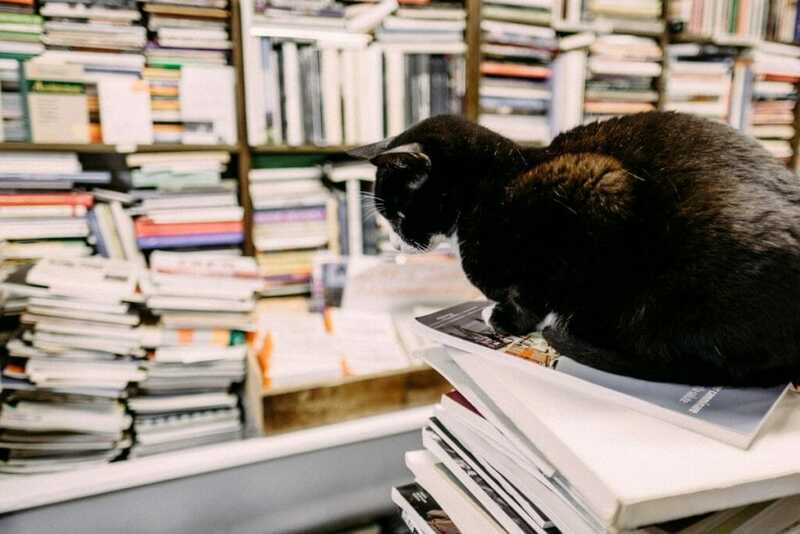 We stopped in Libreria Acqua Alta on our way to Fondamente Nove. 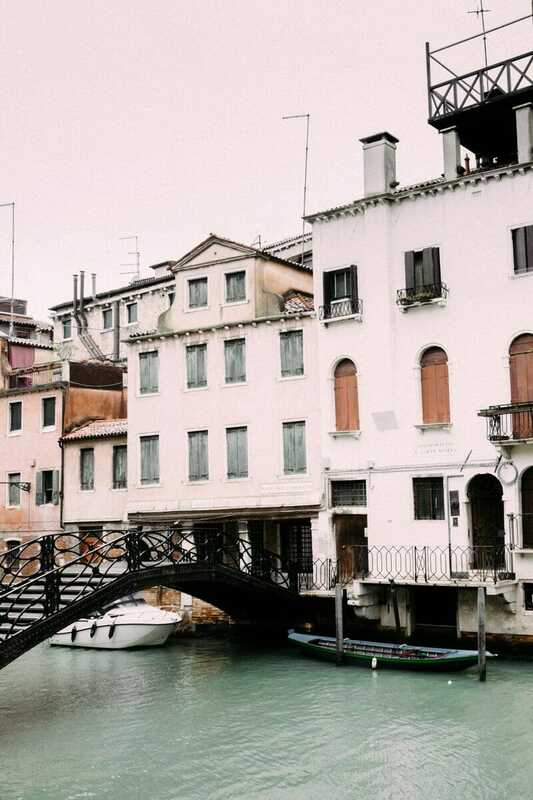 If we ever find ourselves in Venice again, I’ll set aside more time to explore the store. 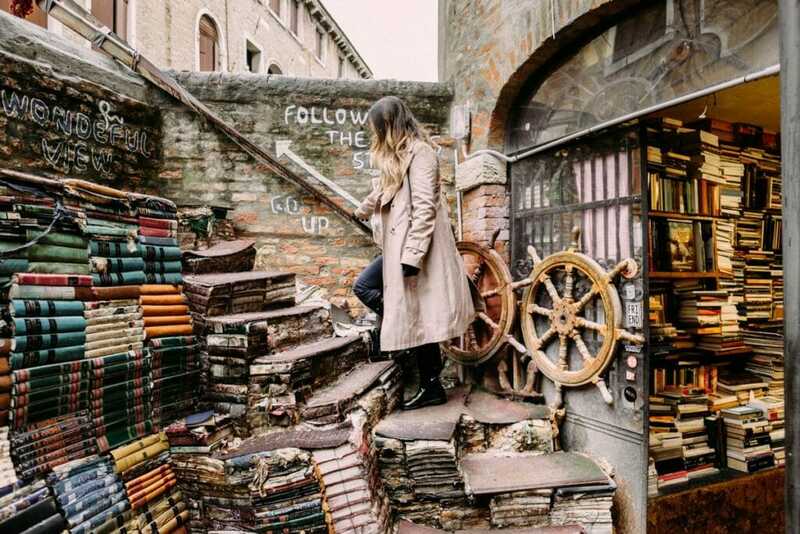 Since we had a vaporetto to catch, we briefly browsed the book selection and headed to the back for photos of the famous staircase made out of old encyclopedias. 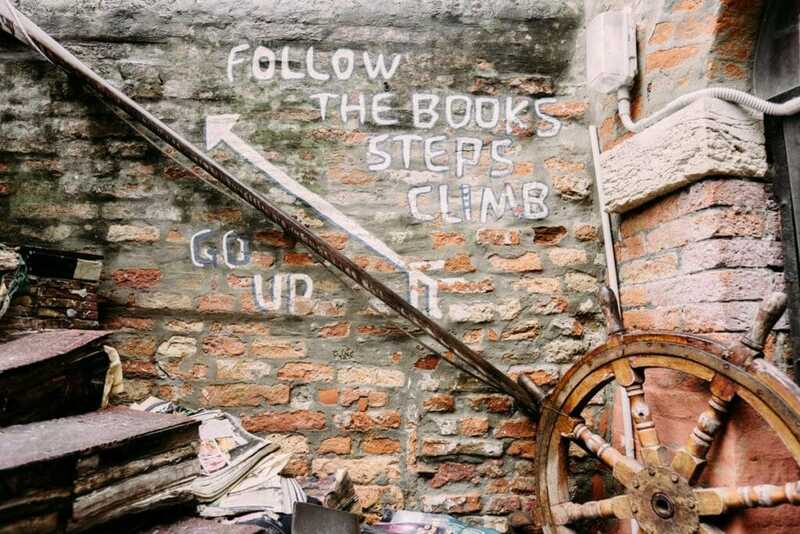 Climbing to the top of the stairs led to beautiful views of the canal. 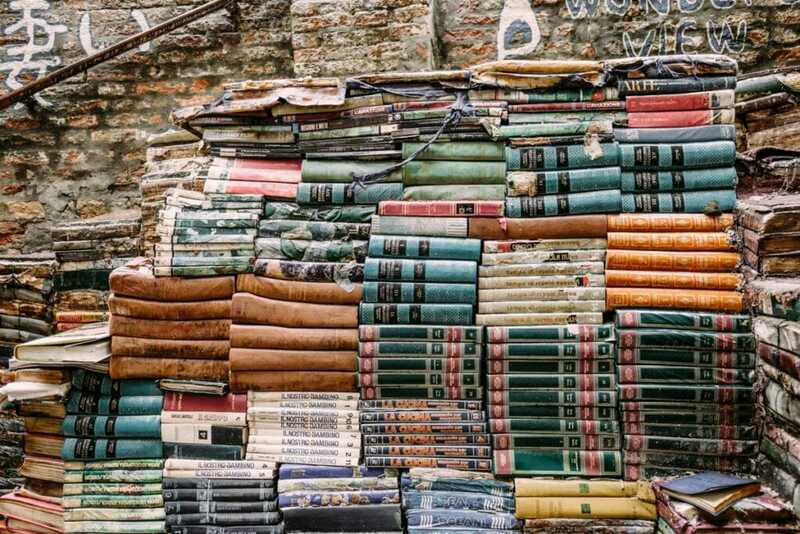 Even though we only spent a short time here, this book-lover’s haven was a highlight of our entire trip. 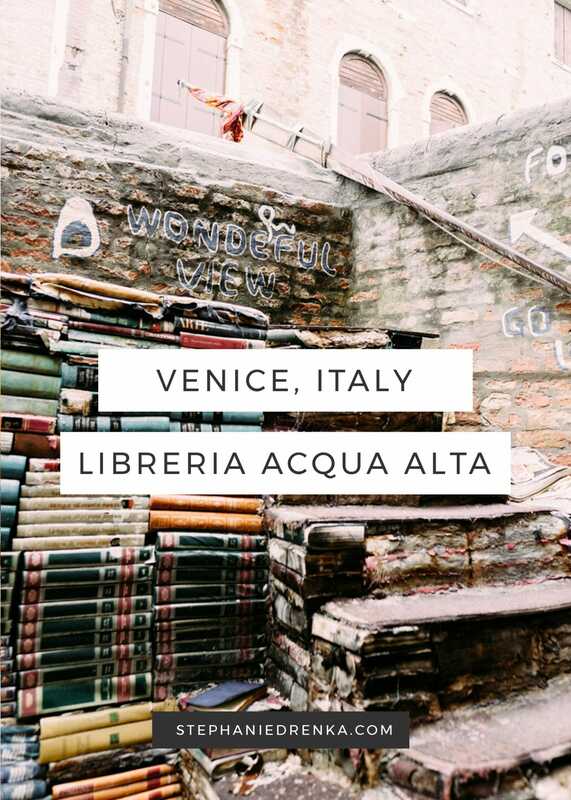 If you have any plans to visit Venice in the future, pin this post and add Libreria Acqua Alta to your itinerary!